Whenever you want to browse a website, you just type in the URL address in a web browser and access the website. This might seem as a very simple task, but within a second of you typing the website’s URL address and browsing it, there’s a lot that happens in the background. We might relate to websites with an URL address, but for computers and machines, they need an IP address to connect with a website. When you enter an URL address in a web browser, the browser contacts a DNS server to resolve the IP address for the URL and then the browser loads the website. 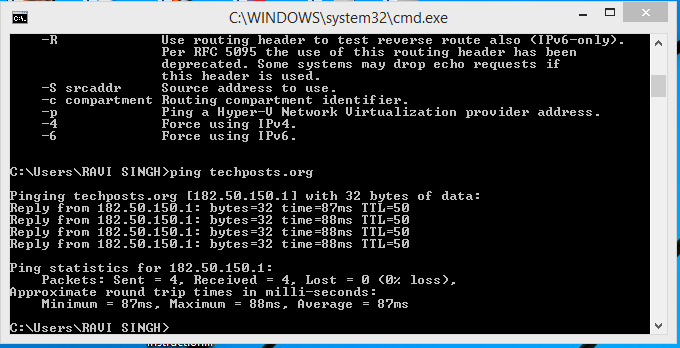 However if you are curious to find out the IP address of any website, you can easily do that using the command prompt and the ping command on windows. To find out the IP address of an website, Open command prompt and type in “Ping” “Space” “URL address” and press enter. 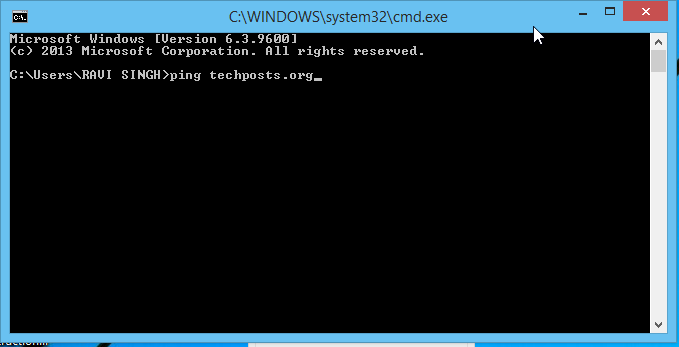 For example, if you want to find out the IP address of Techposts.org, you should type in the following command in the command prompt. Its not necessary to type in the WWW value in front of the URL address and adding it will provide the same result. Within a second of pressing the enter key, the IP address for the respective website will be resolved and displayed in the command prompt. So here’s what Techposts.org’s IP address is. You can even use the IP address to browse a website instead of using the URL address. For example, the IP address ” 180.50.150.1 ” can be entered in a web browser to access Techposts.org. However if a website changes its hosting server, the IP address will also change. Additionally some websites like Google.com have country specific URL addresses and the IP address for these country specific URL addresses will vary from each other. If your friend’s aren’t aware of this, have fun showing off your newly learned trick.